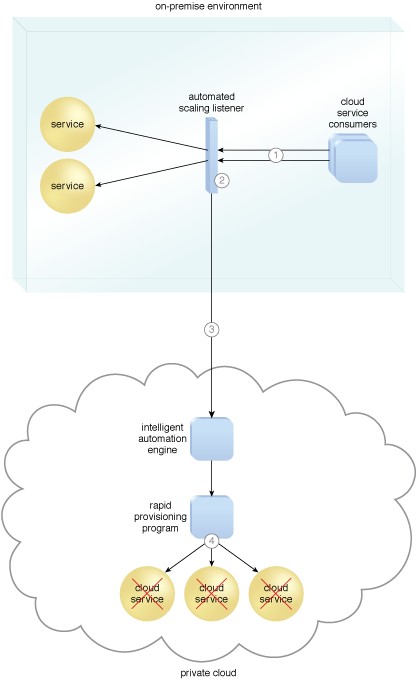 Bursting in from a public cloud is based on a comparable cloud architecture, resulting in an interaction scenario similar to the one just described. The primary difference is in Step 4. When bursting in from a public cloud, IT resources are typically released and moved back to the resource pool after the cloud service instances are deleted.